I decided to try the Asian option for breakfast in the hotel this morning and started the day with dumplings and sweet and sour pork for a change which tasted good although probably better eaten for dinner. 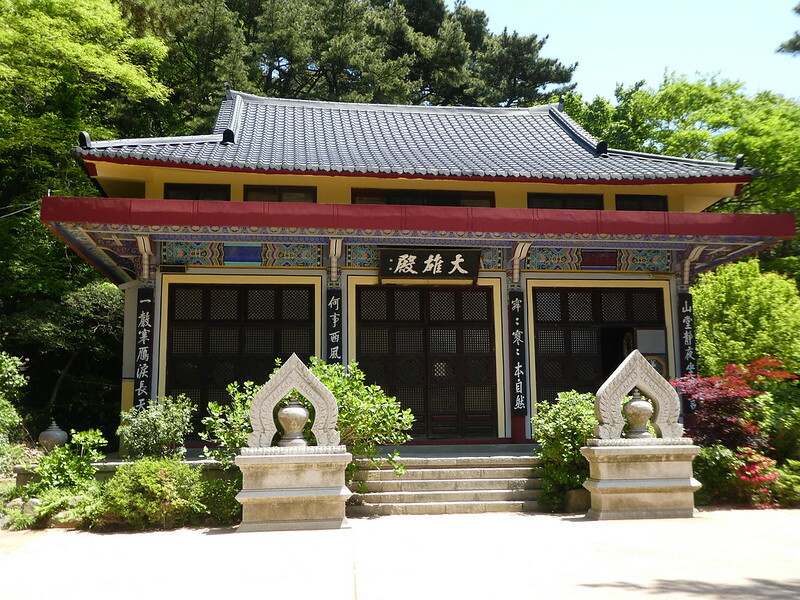 After several cups of coffee, we raised the energy to set off to explore Taejongdae Park in the southerly part of Yeongdo-gu. To reach Taejongdae, we took the metro to Nampo and left by exit 6. Buses 8, 88 and 30 leave from the second bus stop opposite the Lotte Department Store and all terminate at the entrance to the park. As we had transferred to a bus within 30 minutes of exiting the metro our 45 minute journey was free and the entire journey had only cost us 1,500 Won (£1). The bus terminated near a large car park and visitor centre where there were numerous food stalls and cafes along the road aimed at tourists visiting the park. We had decided to take the 4 km looped walking trail but for those with mobility problems or who prefer a shorter walk, the Danubi land train operates a regular service. 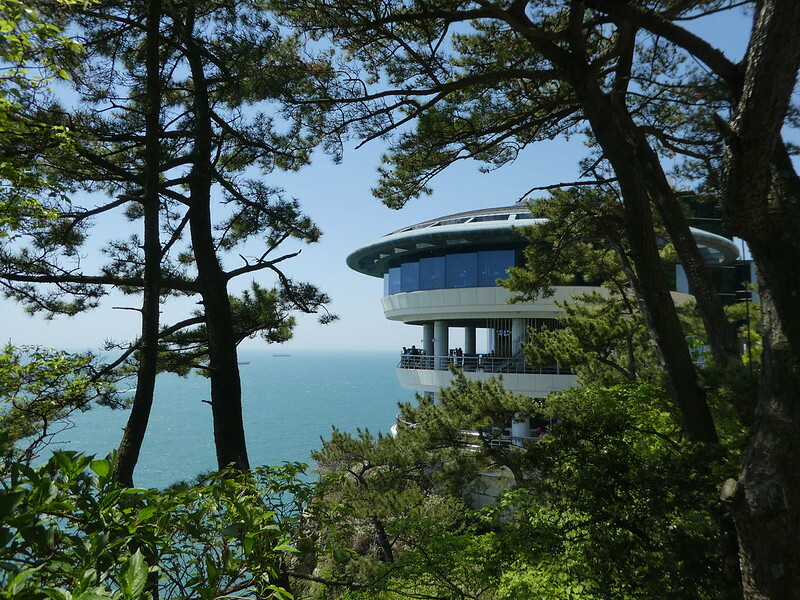 This shuttle service costs 3,000 Won (£2) and stops at five locations in the park with passengers able to get on and off at their leisure. To reach the park trail we continued along the road after alighting from the bus and it was then an easy uphill walk along a paved road to the start of the cliff top walk. 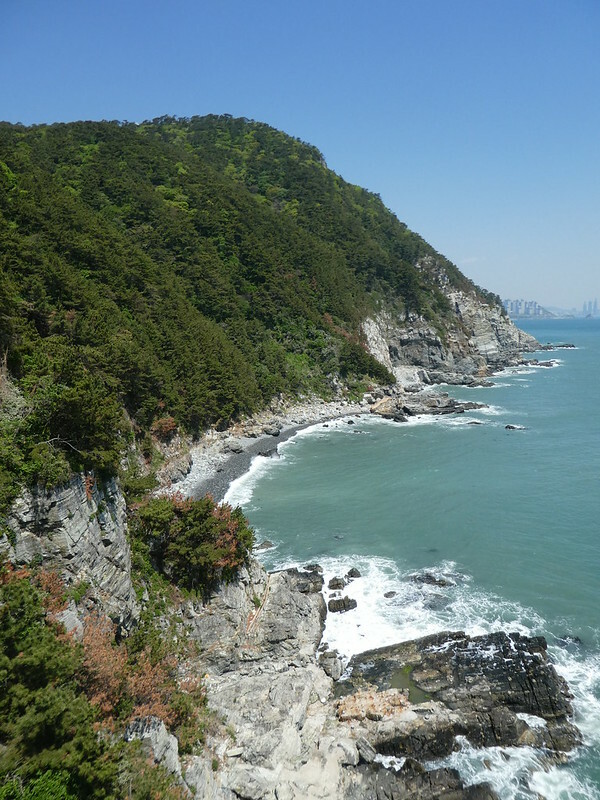 It was a very scenic walk along the trail but our ocean views were often obscured by pine trees and other thick vegetation. There are marked signs to narrower paths and from the one at South Port we had uninterrupted views of the steep, rocky cliffs and turquoise water lapping the rocks below. Our second stop was at the observatory from where on a clear day the Japanese island of Tsushima is visible. Although it was a bright, sunny day it was a little hazy looking out to sea and we were unable to make out the island. Over the years, many people have committed suicide on this cliff and it was so nice to see that a statue of a mother and her children had been placed here since 1976 reminding people of a mother’s unconditional love for her children and to encourage people not to take their own lives. 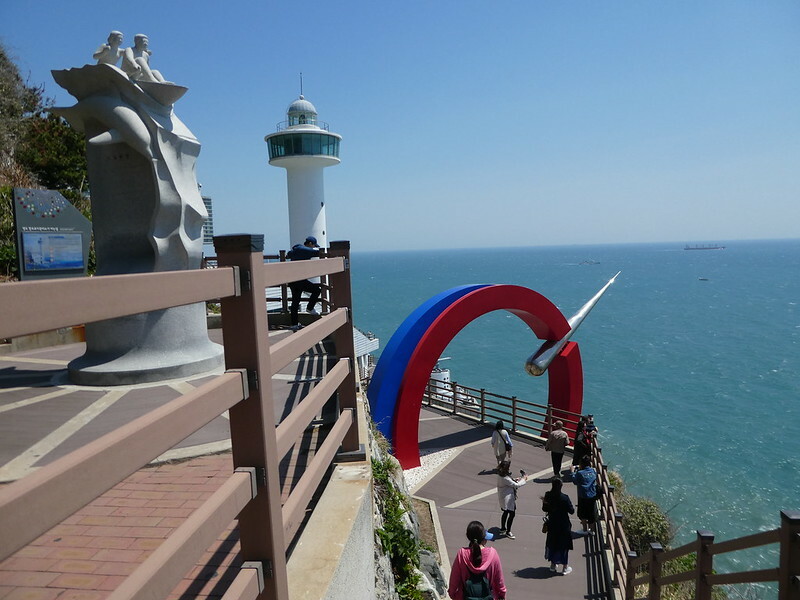 Just a few minutes further along the coast stands the Yeongdo lighthouse. 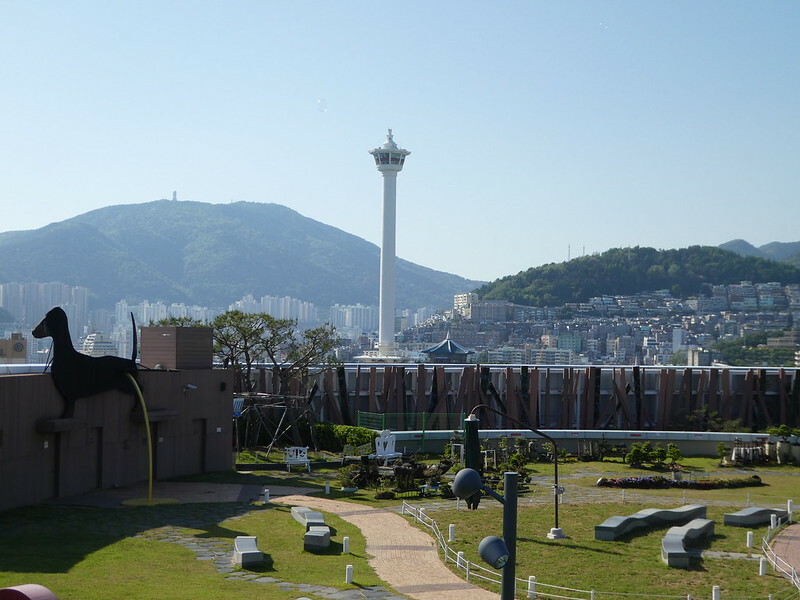 The original lighthouse was constructed in 1906 to guide ships around the port of Busan. This was replaced in 2004 with the new lighthouse also being developed into a maritime tourist attraction. There was a long wooden staircase leading down to the base of the lighthouse but it was worth the effort for the dramatic cliff views. Beneath the lighthouse we could see the Sinseon Rock with a statue of a woman looking out to sea, longing for her husband who had been taken to Japan. To access the rooftop viewing area of the lighthouse there were more flights of steps inside the building. 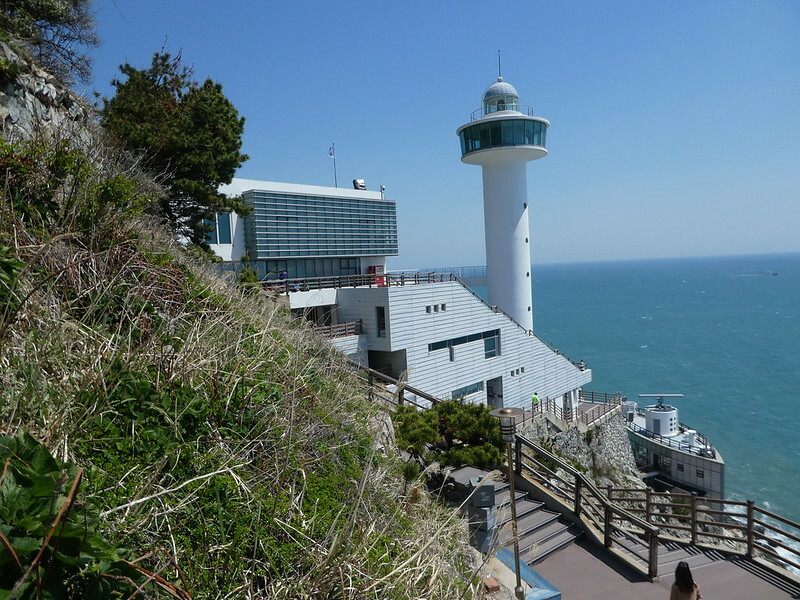 Here we found an art gallery, an exhibition of natural history and a section on the lighthouse itself which stands 35m high and has a beam of 40 km. As we were leaving, the land train was just arriving so we had timed our visit to perfection as dozens of people arrived at the lighthouse at the same time making it much busier. Continuing on our way, it was a pleasant morning stroll along the remainder of the trail. We only came across a handful of people making it very peaceful as virtually everyone else had opted for the touristy land train. The walk was very easy, some gentle uphill sections with the only strenuous parts being climbing up and down the flights of steps near the cliff edge. 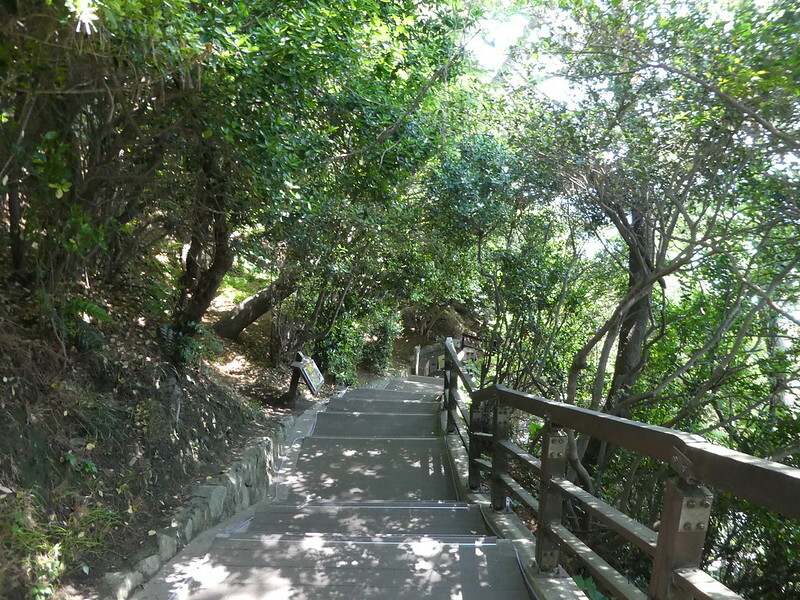 The steps were well maintained and most were fitted with handrails. Near the end of the trail we followed a side path to the Taejongsa Temple named after King Taejong who enjoyed hiking in this part of Busan. The trail had taken us an hour and three quarters, pausing frequently to take photos, and to visit the main points of interest. Arriving back at the bus stop, there was only a few minutes to wait for a bus back to Nampo. We got off the bus near to the Yeongdodaegyo bridge and began our tour of Nampo at the Gukje Market. This traditional market stretches along several roads with little stalls clustered under faded parasols selling everything imaginable. 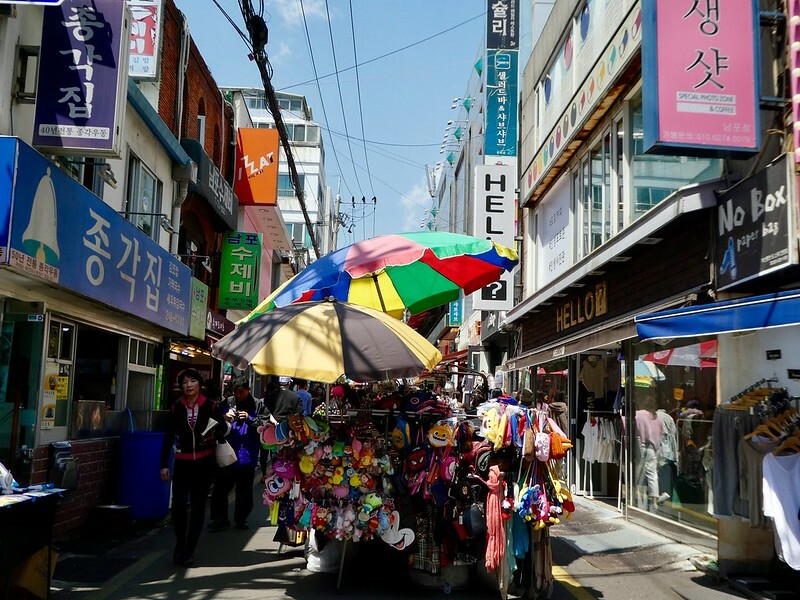 The market originated in 1950 during the Korean War as a place where refugees could exchange goods and is now the largest in Busan. Moving on, we strolled through the upscale pedestrianised shopping streets lined with dozens of fashion, music and cosmetic stores which lead to BIFF Square. The BIFF (Busan International Film Festival) is an annual event taking place in the city’s main theatres surrounding the square. To commemorate BIFF each year copper imprints are made of the winners hands and feet and these are displayed in the square along its walls and paving. 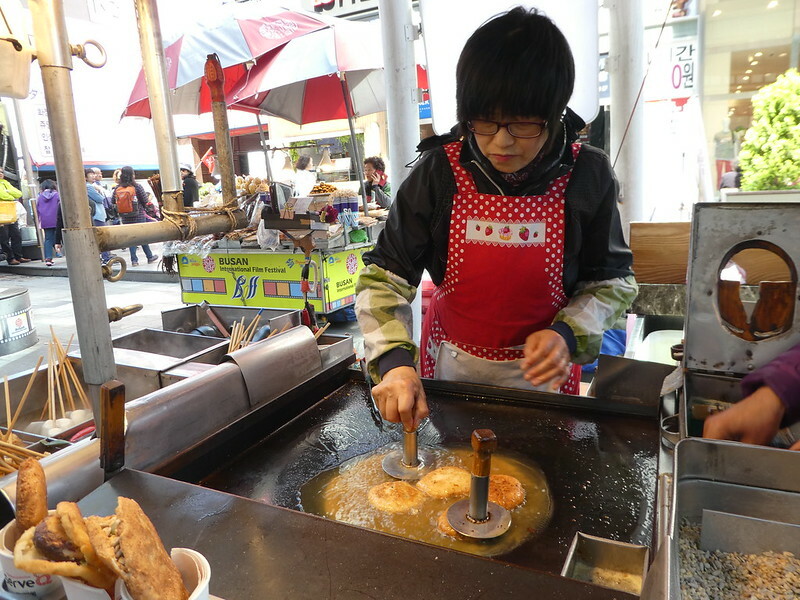 There were long, snaking queues at the square’s street food stalls where Hotteok (sweet Korean style pancakes) were being made to order so we joined one to see what all the fuss was about. The freshly prepared dough balls are flattened and shallow fried, split open and filled with seeds and brown sugar. Finding a bench to sit on, we nibbled our pancakes which tasted delicious with their chewy texture and crunchy filling. We hadn’t come across them before but could easily become addicted especially as they only cost 1,600 Won (£1.12) each. 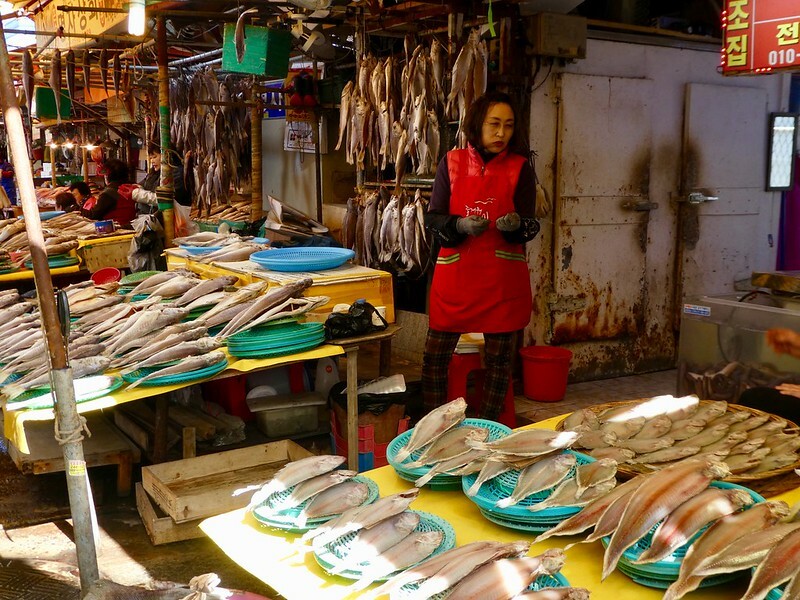 After our tasty treat we crossed the busy road to visit the Jagalchi Fish Market which is one of Busan’s major attractions along the Nampo waterfront. The ground floor was filled with row after row of fresh seafood most of which we were unable to identify, whilst upstairs there are restaurants and dried fish markets. 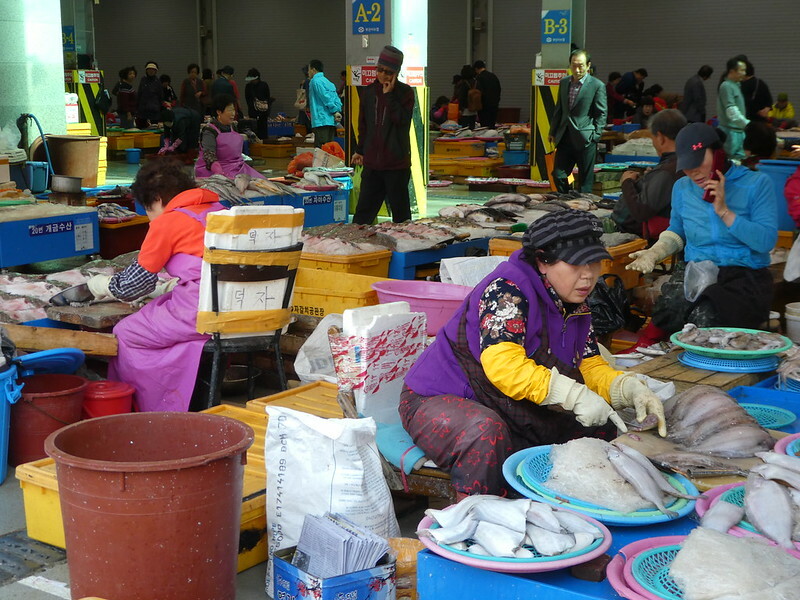 As with the Noryangjin fish market in Seoul, customers can select some fresh fish from one of the stalls, pay for it and then take it to the restaurant for an additional fee to have it cooked and served with side dishes. We thought that the most interesting part of the fish market was the outdoor section stretching down a narrow lane. Here we found hundreds of small vendors most of whom were women, selling freshly caught seafood. Tucked behind their stalls were often a few stoves where they could prepare the fish for informal dining. At the end of the lane we had arrived back at the bridge with the towering Lotte Department Store next to it so, in need of a drink, we popped in to its Lotteria cafe for a short while. Feeling refreshed after drinks and an ice cream, we took the lift to its Skypark on the 11th floor where we found a small dog festival taking place. It’s then necessary to take another lift to access the observation deck on the 12th floor from where we had spectacular views of the city and across the bay. It was incredibly windy up on the deck and although few people were up there, it was difficult to take photos as the deck had glass walls which caused reflections on my shots. The deck is a popular place to watch the Yeongdodaegyo bridge when it is being lifted and the large boats are passing through but there wasn’t any action whilst we were up there. 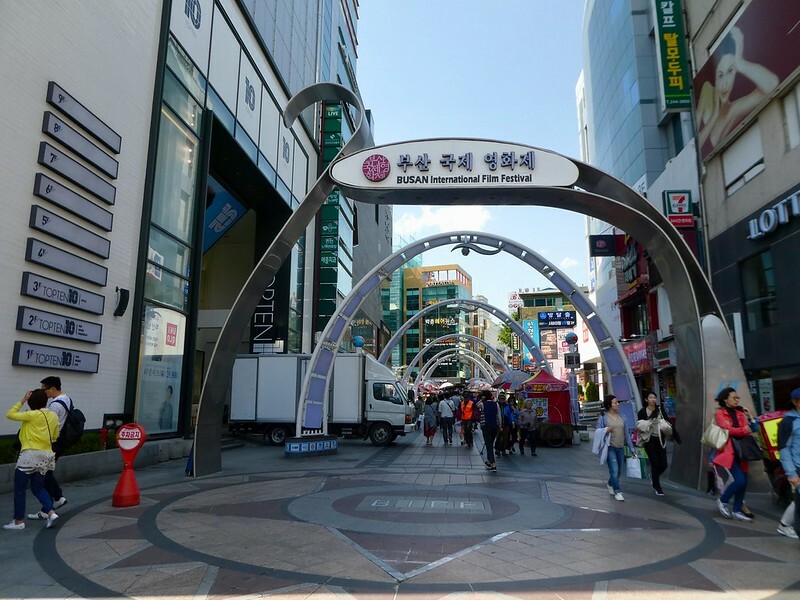 We then decided it was time to return to our hotel from the Nampodong station next to the Lotte store. 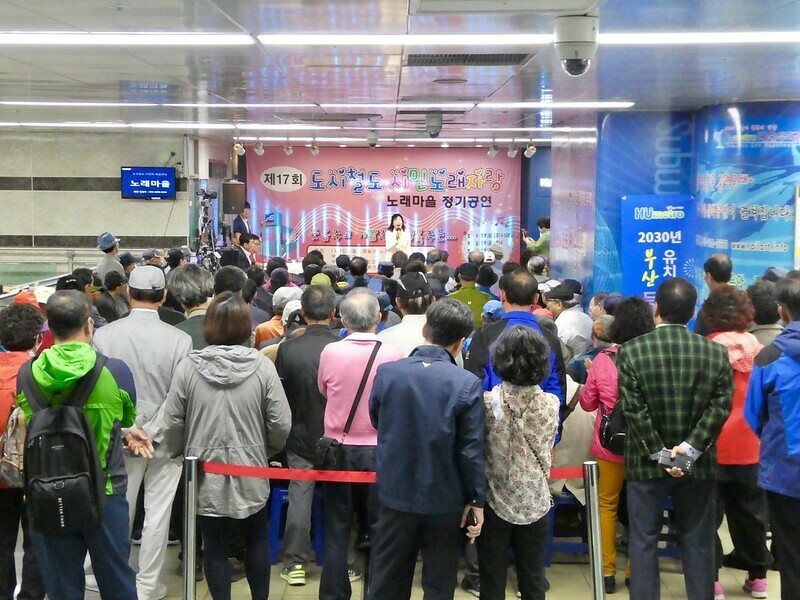 Back in Seomyeon we paused for a few minutes to watch part of a Metro festival which was taking place on the station concourse, attracting commuters who were sitting on the steps. A couple of hours later we wandered through the crowded streets of Seomyeon looking for somewhere to eat. As it was a Friday evening most restaurants were already full and as we didn’t really want to wait for a free table, we continued looking, finally settling on a restaurant serving Korean fried chicken. This was very tasty but not something we would want to eat too often. The end of another lovely day exploring Busan. 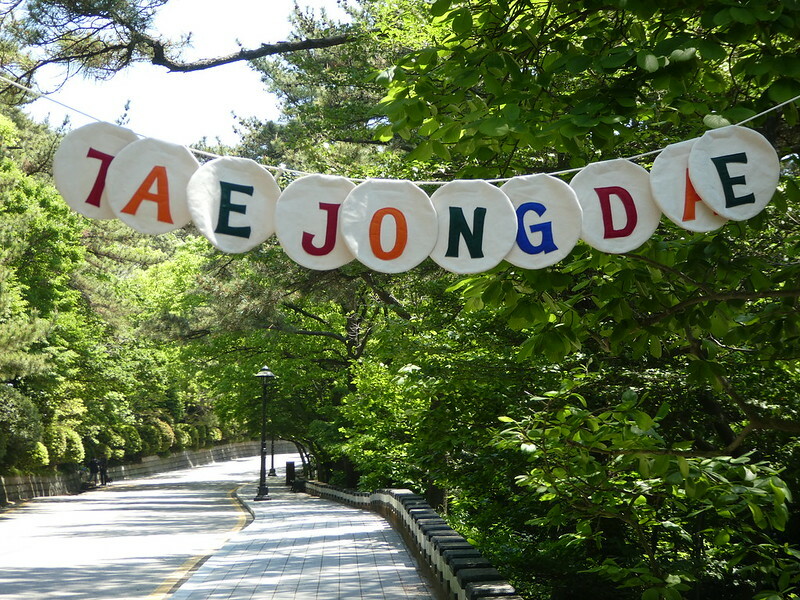 Thank you for your kind words, we had a lovely time in Korea and our walk at Taejondae was beautiful. ‘M pleased my post brought back some fond memories. Thank you, Busan is really beautiful. That first photo especially is so stunning, and I’d love to visit this area one day. Although it’s halfway around the world for me! Thank you for your nice thoughts on this post. Visiting Korea was a long journey for us, too but we loved our visit and hope you might get to visit Seoul and Busan one day. Glorious scenery and a reminder of the makings of really good food there. 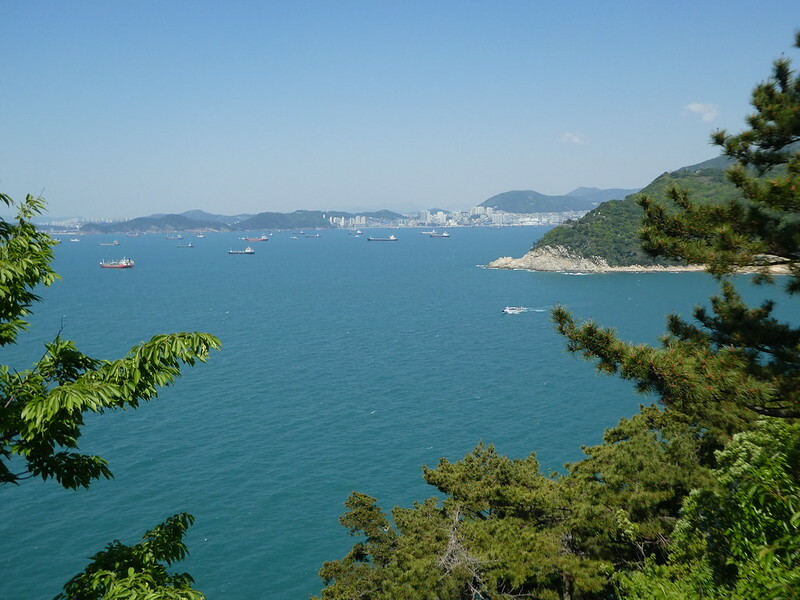 The coastal scenery in the Busan area is spectacular Ian and, of course, the food delicious. Thank you Ingrid, the view over the cliffs from the lighthouse was superb. I am so excited for the day I can begin traveling the world. Sometimes we forget how much there is to see. Thank you so much for sharing this beautiful reminder and inspiration for us all. It’s my pleasure, I am certain you would enjoy visiting Korea as well as many other countries before too long. Thank you for your much appreciated thoughts. What a great trip Marion. So much seen. I love how you take the buses and trains to your destinations and provide those details. And as for those pancakes…yum!! Thanks Sue for always taking the time to write such inspiring comments. Those pancakes were amazing and after all that walking we felt we had deserved them. Hope you are having a lovely weekend. Some amazing images, I especially like the one of the Gukje market. Thanks for sharing! 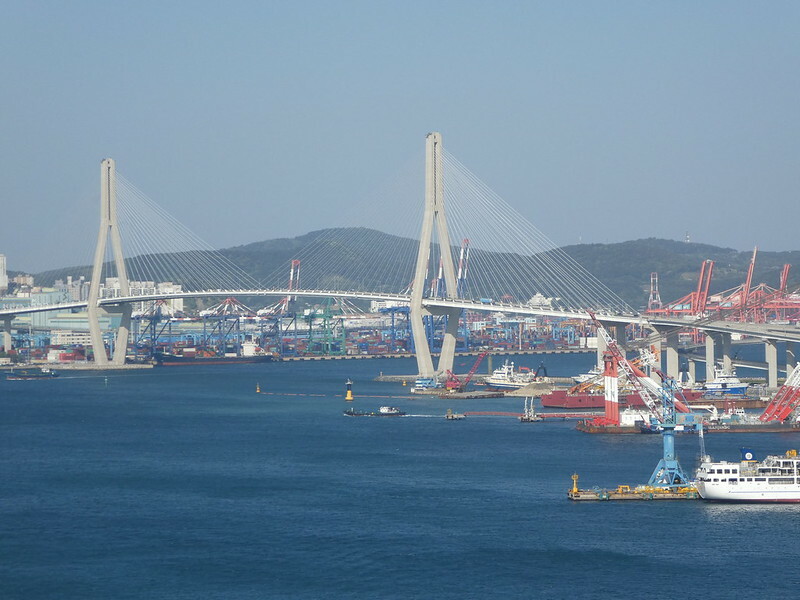 Thank you for your kind words, it’s good to read that you have enjoyed these photos of Busan. Thank you, I’m pleased you enjoyed them. Thank you, it’s so nice to read you enjoyed this post! such a beautiful place.. I will be travelling to Seoul for the first time.. can’t wait and thanks for sharing this coz I might visit the place as well next time. 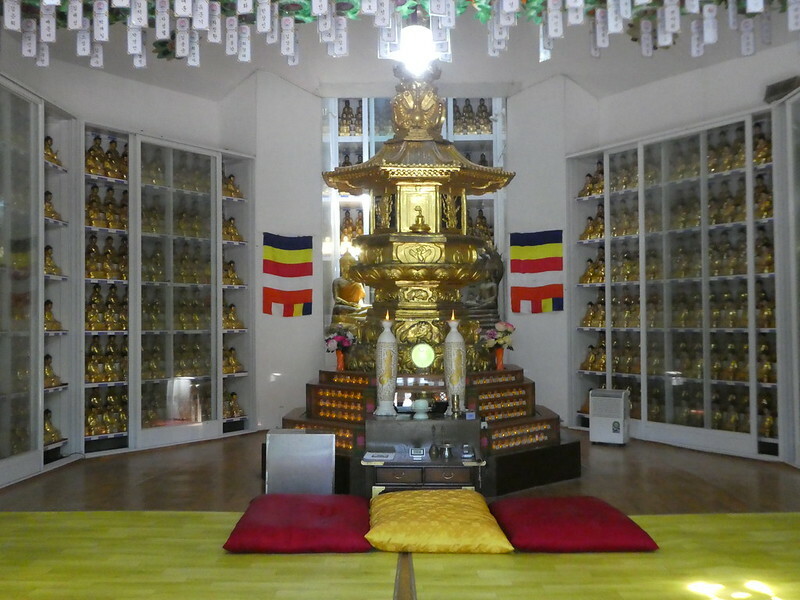 You will love Seoul Tony and there s so much to see and do. I hope you also get an opportunity to head south sometime as it’s very different but equally beautiful. thank you.. looking forward to visit that place one day..
It’s my pleasure China, your comments are much appreciated.